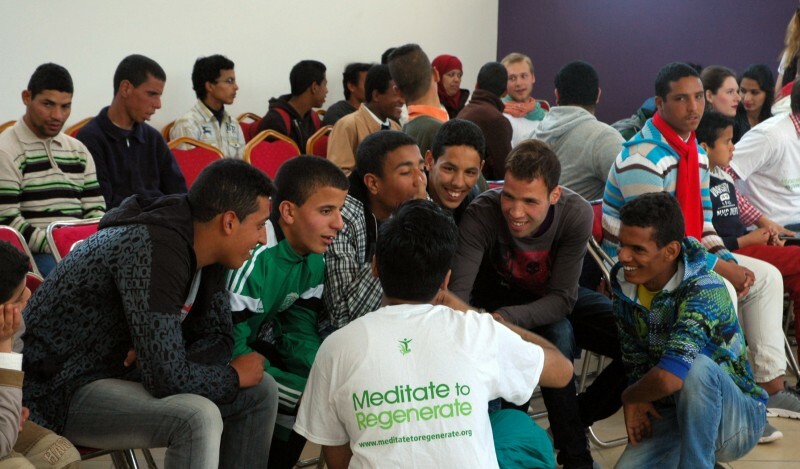 Meditate To Regenerate » Morocco » Snails, anyone?! Hearing the Adaan (the muslim call to prayer), seeing people walk around in traditional clothing and experiencing new sights in small villages and big cities… Being in Morocco is quite amazing when I stop and think about it. After today’s concert and programme, though,I did notice that at the same time I feel at home here. 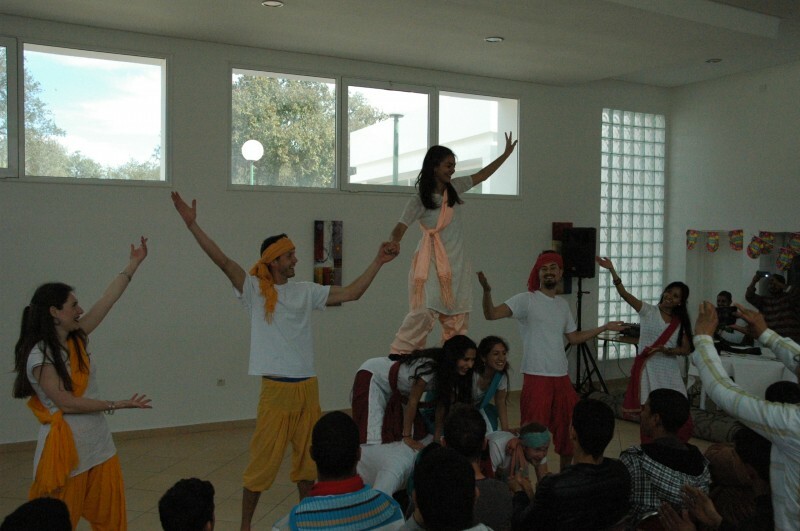 The concert took place in a beautiful school for mentally impaired children. 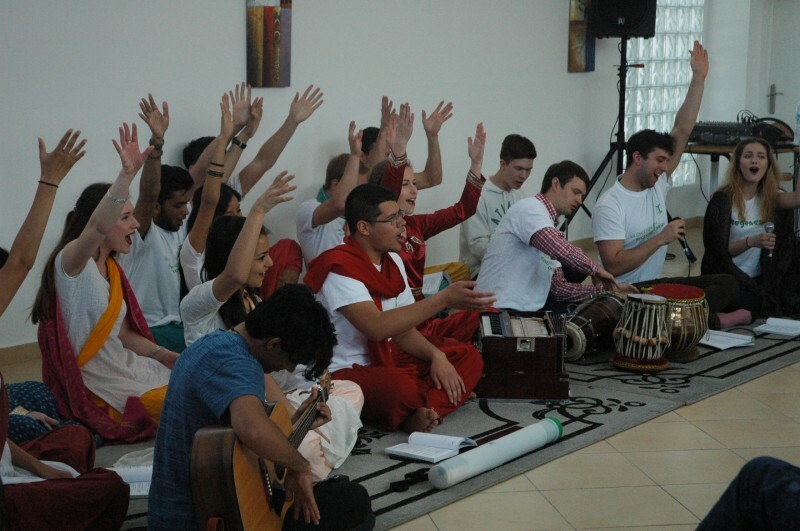 The concert was similar to our previous ones, including music, dance, and of course, meditation. Just like some days before, the children started dancing and singing again while we performed, which was heart warming to see. Afterwards, they told us how much they had loved the concert and how they won’t ever forget it. The director thanked us for sharing our love with them and spreading the message of positivity while offering a cultural experience. It was extremely satisfying to hear these words and see the smiles on the people’s faces. That was when I knew that this is exactly what we are supposed to do. We are a group of more than 30 volunteers who work together towards one goal of bringing peace through meditation. All of us come from different parts of the world; we have people from countries including Sweden, Finland, UK, Russia, New Zealand, India, Spain, Holland and many more. Even though we all lead different lives at home, here we work as one. We all connect in a way that is very natural and loving, like one big family. We are staying in a beautiful villa next to the seaside in Skhirat where we are able to enjoy the views and luxury when we are not out giving workshops or concerts. The moments in between the work, on the bus or while walking, are precious as well. That’s when we get the chance to share, connect and get to know each other better. For the evening we had a programme planned, but before that we headed to the medina of Rabat where we had a stroll and some snails. Wait what. Yes that is right, next to fresh sugarcane juice the medina offers, it casually sells cooked snails as well. I got the chance to expand my cultural awareness by tasting one of them and I must say, I almost feel like a changed person… J After this life changing event we went to the programme where we had an amazing night full of yet again music and meditation. There were a lot of people who were very interested in meditation and felt so good after it that the programme spontaneously turned into a dance party while the M2R group was playing Qawalis. The mood was festive and everybody felt happy. It was not until we actually got into the cabs that we realised how tired our bodies really were. That didn’t matter though, because the energy and love you receive by spreading meditation and sharing the benefits it brings is so rewarding that you forget about your physical discomforts.